The Marcus Dining Chair Light Grey has a fresh contemporary design that will give your dining area a tasteful update. A smart piece with plenty of style and practicality, the Marcus is certain to make a fashion statement in a wide range of spaces. 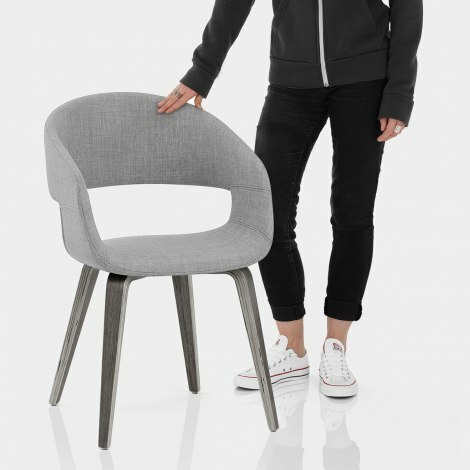 Padded entirely and shaped for encompassing comfort, the seat has a sweeping backrest that also forms two supportive armrests. 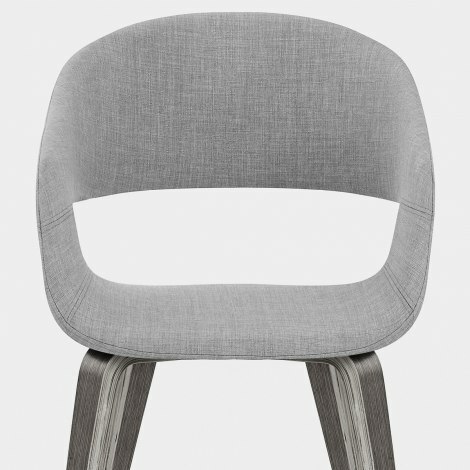 Light grey fabric covers the seat for soft yet durable appeal. Four tapering bentwood legs form the frame below the seat, and each one includes a protective floor pad. Plus, the unique antique grey finish matches the colour of the seat and creates a harmonious design.